The Trans-Pacific Partnership (TPP) is a big deal in the making. With the Doha Round of multilateral trade negotiations at an impasse, the TPP negotiations have taken center stage as the most significant trade initiative of the 21st century. As of December 2012, negotiators have made extensive progress in 15 negotiating rounds since the talks began in March 2010, though hard work remains to finish the deal in the coming year or so. Despite this effort, however, the TPP is not well understood. In part, the reason lies in the dynamism of the TPP initiative. Unlike other free trade pacts, the growing membership as the talks have proceeded, and the broad range, complexity, and novelty of the issues on the agenda have made it difficult to track the substantive detail and progress of the talks. 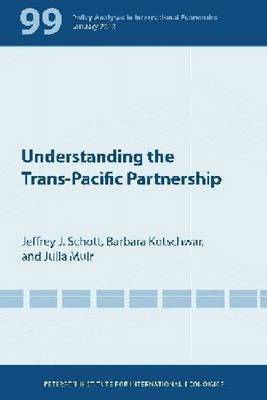 This Policy Analysis aims to remedy this problem by providing a reader's guide to the TPP initiative. It first assesses how much the TPP countries are alike and like-minded in their pursuit of a comprehensive trade deal. It then examines the current status of the talks, the major substantive sticking points, and the implications of Canada and Mexico joining the talks as well as prospective membership of other countries. The Policy Analysis then looks ahead to how the TPP could advance economic integration in the Asia-Pacific region and the implications for trade relations with China.